Think beards are boring? Think again. This list of twenty mind-blowing facial hair facts is going to make you not believe your eyes. From the Crimean war beards all the way to CIA trying to make Fidel Castro’s beard fall off, this list has a little bit of everything for everyone. If you’re ready to fill you brain compartments with even more useless knowledge, we got your covered. Just because you don’t see the stubble, doesn’t mean there wouldn’t be follicles in the facial hair area. In fact, most people – even women, have all the follicles they need for churning out a thick full-beard. It has been shown that when the fetus is just 5-months old in the womb, it develops all the ~5-million human hair follicles it will ever have. If you can’t grow a beard, it means that you are either not producing enough testosterone and DHT (the beard growth fueling androgens) or your androgen receptors in the facial hair area are not sensitive enough so that the hormones could enter DNA. Beards keep going in and out of fashion. During the Victorian era, in the 1800s England, there was an interesting reason as to why most men grew beards. Doctors were actively prescribing men to grow facial hair. Not just any kind of facial hair, but big bushy beards. 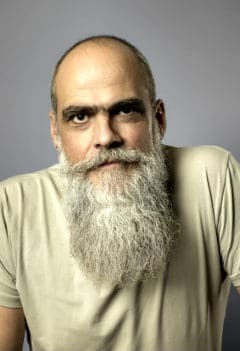 They weren’t entirely wrong either, although the theory of disease was still forming shape, modern science has shown that beards do – to some extent – prevent bacteria and viruses from entering the respiratory tract. And that’s precisely what the Victorian era doctors were prescribing them for, to act as sort of filters. In 1967 the Smithsonian Institution of Washington DC got an interesting exhibit. It was the longest known beard in history, which once belonged to a Norwegian man; Hans Nilson Langseth. He grew his gigantic 18.6ft (5.66m) beard throughout his life, but it was only measured when he perished in 1927, marking the day it officially became the longest beard in history. It was Hans’ only wish before he died that his beard would be cut off and stored, and after his open-casket burial, his family did just that, cutting off a 17.6ft piece that was later donated to the Smithsonian Institution. The 17.6ft number is often mistakenly claimed to be the full length of the beard, but these reports forget the fact that his family left about 10-12 inches of beard intact. ZZ Top is known for their wild beards. 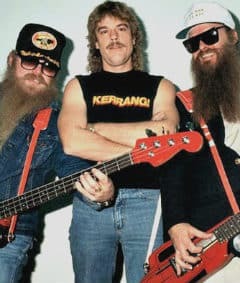 Ironically, however, their drummer, whose name is Frank Lee Beard is the only one in the band without a beard. He can very rarely be spotted with a goatee, but most commonly you’ll only see him sporting a mustache. I’m sure Beard’s reasons for his beardlessness are valid. I think we can all agree that the two other members of the band do a good job compensating his lack of facial hair. 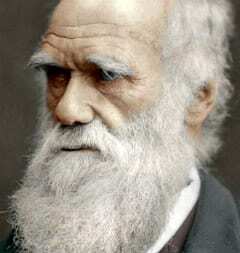 Your beard is composed of androgenic-hair. The growth of androgenic hair is fueled by the androgens; testosterone and DHT. 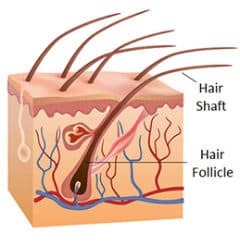 However, your scalp hair is thinner non-hormonal vellus hair, and if you carry the male-pattern baldness gene, then there’s a chance that DHT might be part of the reason you’re shedding up top. This is the reason why bald men usually grow mean looking beards. DHT fuels their growth on the face but can hinder it on the scalp. This is true only on men with genetic proneness to losing hair, and sometimes even blocking DHT won’t help, only brings a host of side-effects like a messed up hormonal profile, erection issues, and depression. 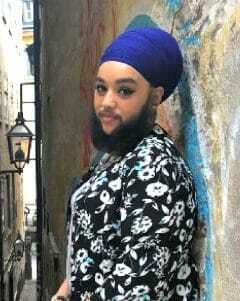 Harnaam Kaur received a Guinness World Record certification for her beard. Accordingly, as it puts some of the beards men are trying to grow into shame. Recording 6″ in length, Harnaam’s beard is due to a medical condition called polycystic ovary syndrome. The condition results in abnormally high testosterone production for a woman, causing increased facial hair growth. This just shows my first point. We all have the follicles, you just need hormones and sensitive androgen receptors to make them sprout androgenic-hair. 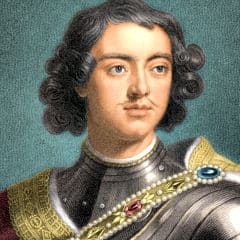 In 1698, Tsar Peter I, or Peter the Great – Established a rather unusual tax for men. First, he declared that all men must immediately shave. Later, his stance softened a bit, and instead, he decided that all men who would sport a beard would have to pay tax for it. Looking at his portrait, we can see why he might of have had an issue with bearded men. Could it be the classic beard-envy? As many already know, the 16th President wasn’t always fur-faced. It was only after she received a letter from an 11-year old girl named Grace Bedell, which urged the President to grow facial hair, since “all the ladies like whiskers”. 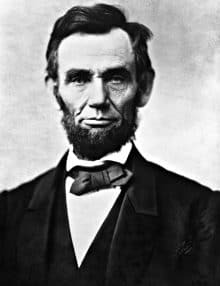 Lincoln took note and grew his iconic chin curtain facial hair. Full beard, no mustache that is. This is the look the President had until he was eventually assassinated by John Wilkes Booth. 3/4 of the male population globally, shaves on a daily basis. What a sad number, and it shows how twisted our image of beards as unsanitary and “hobo-ish” have become, largely thanks to years of ads and campaigns by brands like Gilette. Good for the shaving companies, and kudos to their marketing teams, but man, is that a sad number for all of us beards men. Minoxidil was originally created in 1950 by The Upjohn company as a treatment for ulcers. It failed as ulcer cure, but the researchers found that due to its potassium-channel opening potential, the drug was a potent vasodilator (circulatory aid). After this, they began testing if it would work in patients with high blood pressure. It did, but at the same time, they noticed a side-effect. Oral Minoxidil was growing hair all-over their subjects bodies when it entered the systemic circulation. This is when some smart researchers realized they could make it topical and start selling it as an anti-hair-loss drug. Long story short, the tests went well and the drug was eventually patented and released for use. 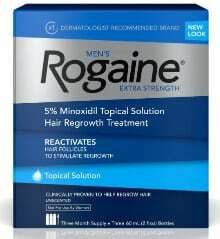 After enough safety data had been collected, the FDA granted minoxidil (Rogaine) prescription-free status. 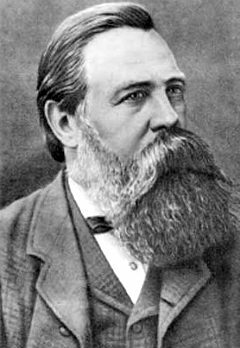 As to be expected, some men who couldn’t grow beards, eventually tried if minoxidil would be able to grow hair on the face. Much to their surprise. It did. 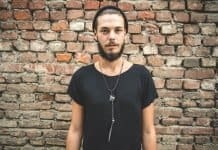 There are currently thousands of anecdotal stories and before-after photos online which show massive differences when minoxidil is applied to beard. 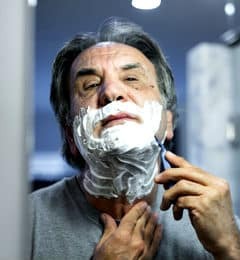 Eventually, a group of Thai researchers tested minoxidil for beard growth purposes, finding it highly effective – and safe – in doing so. 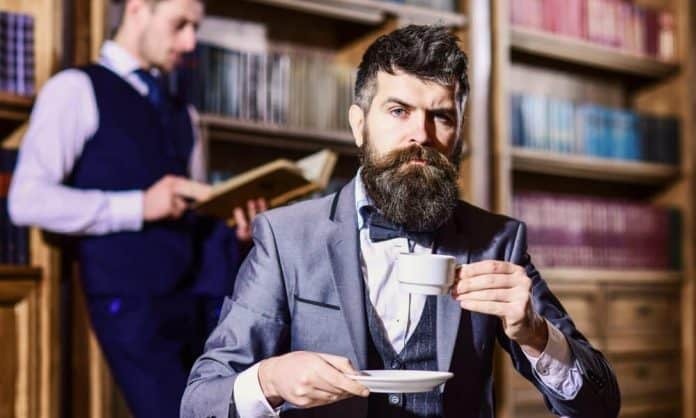 According to multiple sources the rich guys don’t like to sport beards. I’ve seen the claim online numerous times, that out of the Forbes 100 richest men list. Only 2%, that means just 2 guys, had a beard. No one seems to provide a source to this list, however, so we assume it’s 100 of the top guys in this one from 2015. 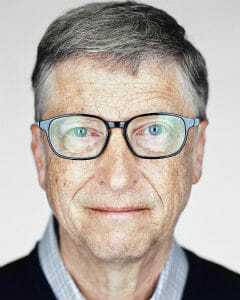 We don’t know what to think of this, but maybe it shows that even the richest and most powerful, are bending to the dogma that in the business world, you’re supposed to be clean-shaven. Well done Gilette, you’ve done your marketing work finely once again. Well, even though the billionaires are clean-shaven. Most of us normal folk are not. One study examined the global status of beards. They found that 55% of the men all-around the World sport some style of facial hair. In American males, this number was 33%. 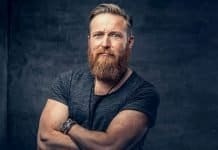 Finally some promising numbers for beardsmen. Even though the billionaires have abandoned their whiskers, the working-class sticks together and beards on. Humans are the only species that delay sleep. We shouldn’t as there are ample amounts of evidence suggesting that sleeping more results in higher levels of the male hormone; testosterone. 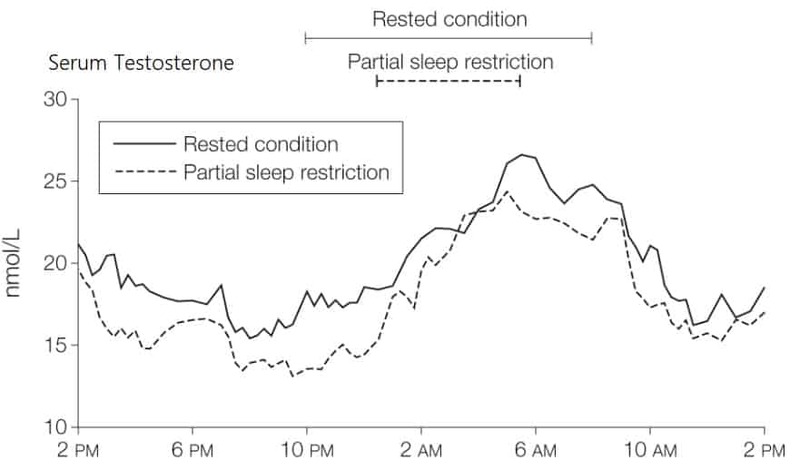 Since testosterone is the principal androgen behind beard growth and follicle stimulation, one can only conclude that more sleep → more beard. Before the Crimean war, the British army had outlawed facial hair. However, when the war started and it was fought in the cold Crimean peninsula, it was easier for the soldiers not to shave and to some extent even impossible (not many Gilettes around in the late 1800’s). So because of the cold and unsavory shaving-conditions, the war heroes who returned home often sported magnificent beards. Through the beards of the veterans, the beard became a symbol of heroism and bravery, and this is claimed to have been the turning point of when facial hair was fully accepted into the culture. Indian men have always been proud of their beards and mustaches. And during the colonization wars, when clean-shaven British officers first appeared in India, they were ridiculed of their boyish beardless faces by the Indian military men. 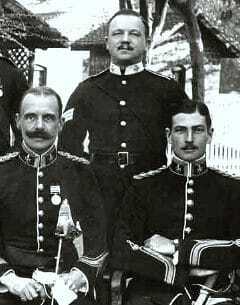 To regain some authority, British officers had to beg their superiors back in England to be able to grow facial hair, and thus; in the 1860’s mustaches became compulsory in the British army. This mustache rule was quickly dropped in 1916. During the first World War, facial hair could prove lethal if it was coming in the way of properly sealing a gas mask. For this reason, many countries military policy is still to keep a clean-shaven face. Contrary to popular belief, shaving your face does nothing for your facial hair growth rate. 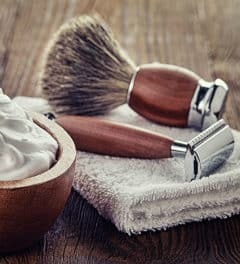 Only the very first shave, makes your stubble appear a tiny bit thicker, as you will cut the fine end of the hair. This leaves a coarser, rough edge to the hair strand, but does absolutely nothing for the actual growth rate. So if you can’t grow a beard, do yourself a favor and put the razor down. There are better alternatives to actually grow beard faster naturally; ones which have scientific-proof as well. Contrary to popular belief, men weren’t always just able to shave. At least in their own homes that is. It wasn’t until 1903 when the mass production of safety razors began, and removing one’s whiskers at home slowly started forming as a (bad) habit. 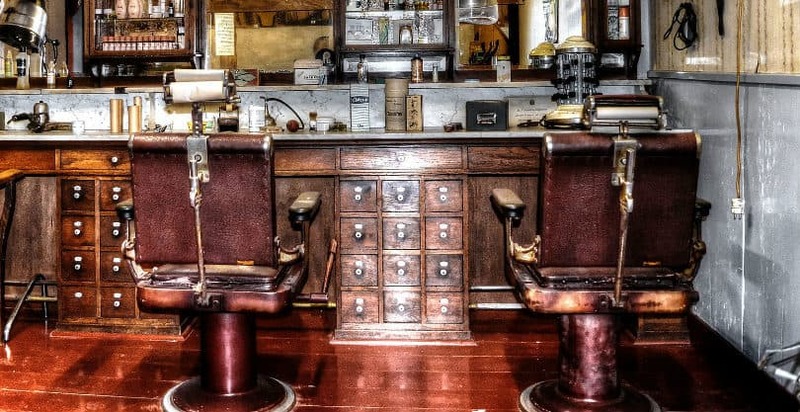 Before this, men would be forced to go to their barber for a straight shave, and because of this, barber shops were huge hubs of social connecting among men. Everyone had to wait in line while the barber worked on one of them at a time. Leaving others plenty of time to communicate and discuss their lives, long before (un)social media would ever become a thing. Your beard isn’t only keeping you handsome. It’s also protecting you from the UV rays of the sun. At least that is, according to a study from the University of Southern Queensland, in which the researchers left mannequin heads with varying amounts of fake facial hair out in the sun. What they found out, was that full beard was really good in blocking the sun rays, having a sun protection factor of up to 21. ZZ Top is well known for their long beards. Aside from the drummer of course. Mr. Frank Lee Beard, who is – naturally – the only person in the band without a beard. 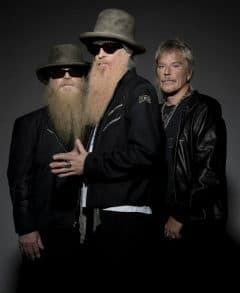 Well, as if we didn’t need any more crazy facts about this great band, there’s also the story about how Gilette offered the main man Billy Gibbons and his bandmate Dusty Hill 1-million dollars to shave off their beards. This was back in 1984, so in today’s money, it would be more than 2-million USD. This is a bit of a weird beard fact, but it’s a true story. 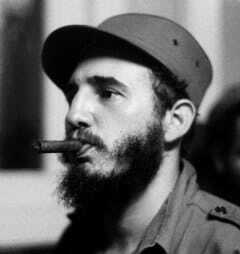 It’s about Fidel Castro, who reportedly dodged a whopping 634 assassination-attempts during his life. One attempt, not directly to assassinate him but instead to topple his power-position, was to dust Castro’s shoes with thallium salts. This strong depilatory was then supposed to make his beard fall off, causing the public to see him as weak and emasculated, not fit to lead them. However, this attempt was eventually abandoned when Castro canceled his trip abroad, in which he routinely left his shoes outside of the hotel rooms he stayed in for shining (which would of have been the perfect time to add some thallium to his shoes by the CIA).